Services – Southern Dominion Health System, Inc. The staff of Southern Dominion Health System, Inc. is dedicated to providing comprehensive, primary health care to individuals and families in need of its services. Care available at Southern Dominion Health System, Inc. includes infant and child care, adolescent medicine, primary gynecology, adult primary care, geriatrics, preventive health care, and minor surgery. Our medical staff is composed of Physicians, Nurse Practitioners, and Physician Assistants. 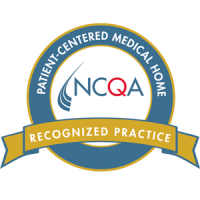 Each of our Family Practice Providers are Board Certified and continue to remain current through Continuing Medical Education as required by our Board of Directors. Our nursing staff is composed of Licensed Practical Nurses, and Certified Medical Assistants, supervised and directed by a Registered Nurse. Certified Radiologic Technologists provide radiology examinations at the medical centers with state-of-the-art x-ray equipment, including bone densitometry. Southern Dominion Health System, Inc. provides for a 24 hour comprehensive medical provider availability should the need arise. When you need to reach us for an emergency or after-hours problem please call the office number and follow the voice mail prompts. The Provider on call will return your call as soon as possible. In the event that you may be experiencing a dire, life threatening emergency call 911, local dispatcher, or proceed directly to the emergency room and identify yourself as a patient of Southern Dominion Health System, Inc.
Diabetes education classes are available at Lunenburg Medical Center as needed. This service is free to our patients. For more information on Diabetes assistance and class schedules call Beth Williams, LPN, Clinical Coordinator OR Trisha Currin, RN at (434) 696-2165. Please call Southern Dominion Health System, Inc. at (434) 696-2165 for more details regarding these programs. The office features state of the art dental equipment including a portable handheld x-ray unit with digital imaging to help with patient comfort and digital patient records. The center is conveniently located up and across the street from our Lunenburg Medical Center. SDHS COUNSELING AND BEHAVIOR SERVICES ARE AVAILABLE AT OUR LUNENBURG AND DINWIDDIE LOCATIONS:Shannon Rakes is our Licensed Clinical Social Worker. Please call (434) 696-2319 to schedule an appointment. The Pharmacy Connection helps patients without prescription insurance coverage obtain the medications they need with a Medication Assistance Program, low cost and sometimes free-of-charge*. The Pharmacy Connection is an initiative of the Virginia Health Care Foundation working to develop health care solutions for patients. Southern Dominion Health System, Inc. has been awarded a Pharmacy Connection, Medication Assistance Program, grant making it possible to obtain a Medication Assistance Caseworker to administer this program throughout the four counties it serves. Must have a valid prescription for evert medication or bring in all medication bottles. For more assistance with the Pharmacy Connection, please call Rhonda Holder at 434-696-7706. *Depending on how much you qualify for will determine the amount of your prescriptions. The staff at your Provider’s office will assist you in completion of the application for the program. This application is forwarded to the The Pharmacy Connection Caseworker, along with required financial documentation. The Caseworker will submit the requests to the appropriate pharmaceutical manufacturer. In 6-12 weeks, the pharmaceutical company mails your prescription medication to your Provider. You will be notified that your prescription medication is ready for pick up. After the initial application for your medication, refill and new prescription requests will be quickly completed.